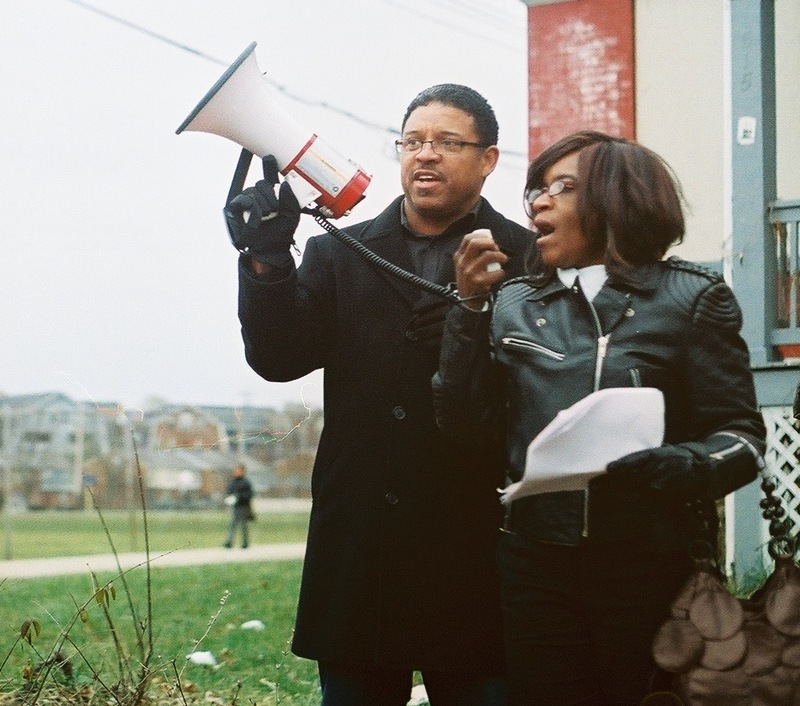 Robert Pace and Amy Smith address demonstrators outside Smith’s shuttered home during an Avondale “Foreclosure Tour,” the first public action organized by Occupy the Hood Cincinnati. A Madisonville couple who have spent the past decade fighting against predatory Big Bank lenders which tipped them into bankruptcy and foreclosure, might see their case go before the U.S. Supreme Court. As they push their cause, they have found solidarity in a new community of activists battling foreclosure in Cincinnati. Ten years ago, Demetrious Smith hoped to buy a building and work as a landlord after a non-work-related injury ended his 13-year career with General Electric. But getting financed on the strength of his monthly $1,182 disability check seemed unlikely. Then a postcard arrived in his family’s mailbox from a company called National Mortgage Funding, which promised home financing for anyone. Smith, now 57, arranged an appointment and swiftly got financed for a $109,000 mortgage through ABN AMRO Mortgage Group Inc., for the home he still lives in with his wife Amy, 53. This entry was posted in News and tagged ABN AMRO, Amy K. Smith, Chase Bank, Demetrious Smith, foreclosure, MERS, Michael R. Barrett, Occupy the Hood Cincinnati, P.G. Sittenfeld, Robert Pace, Vanessa Sparks. Bookmark the permalink.